Using symbolic execution to solve a tiny ASCII maze. In this post we'll exercise the symbolic execution engine KLEE over a funny ASCII Maze (yet another toy example)! It's really small I know! But the code hides a nasty trick, and at the end, you'll see, it has more than one way to solve it. KLEE is a symbolic interpreter of LLVM bitcode. It runs code compiled/assembled into LLVM symbolically. That's running a program considering its input(or some other variables) to be symbols instead of concrete values like 100 or "cacho". In very few words, a symbolic execution runs through the code propagating symbols and conditions; forking execution at symbol dependant branches and asking the companion SMT solver for path feasibility or counter-examples. For more info on this check out this, this or even this. Find it interesting? Keep reading! 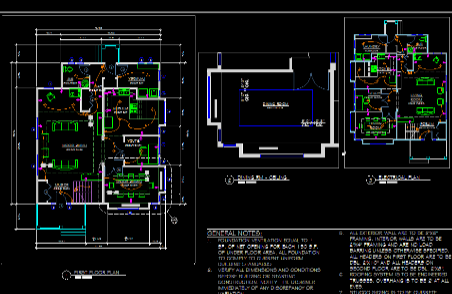 AutoCAD is a software for computer-aided design (CAD) and technical drawing in 2D/3D, being one of the world leading CAD design tools. It is developed and sold by Autodesk, Inc.
AutoCad is vulnerable to an arbitrary pointer dereference vulnerability, which can be exploited by malicious remote attackers to compromise a user’s system. This issue is due to AutoCad’s failure to properly bounds-check data in a DWG file before using it to index and copy heap memory values. This can be exploited to execute arbitrary code by opening a specially crafted DWG file, version AC1021. This version was the native fileformat of AutoCAD Release 2007. New versions of the format emerged but AC1021 is still supported in modern AutoCADs for back ward compatibility. The DWG R2007 also known as AC1021 is well documented by the reversing effort of opendesign. 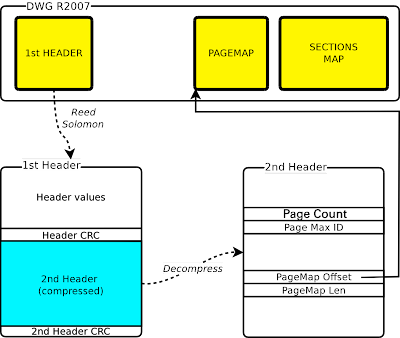 When each PageMap node is read two data structures are updated, a double linked list of page map nodes called PMapList and an id indexed array of node pointers called PMapArray. A quick description of this three entities follows. unknown: there are 2 unknown fields of 64 bits (Not used). PMapArray is an array of node pointers maintained for quick access of the page map nodes. It maps the id to the actual page map node. A memory chunk of pages-maxid size is allocated for it as declared in the 2nd header. 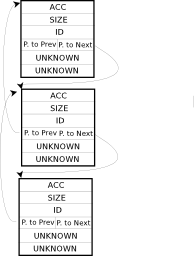 When each new page map node is created its address is stored in the corresponding id position of the PMapArray array without checking its boundaries. Thus, enabling an arbitrary heap offset overwrite with a pointer to the recently created node. Details on the exploitation technique can be found in Joshep white paper or in the actual proof of concept exploit.